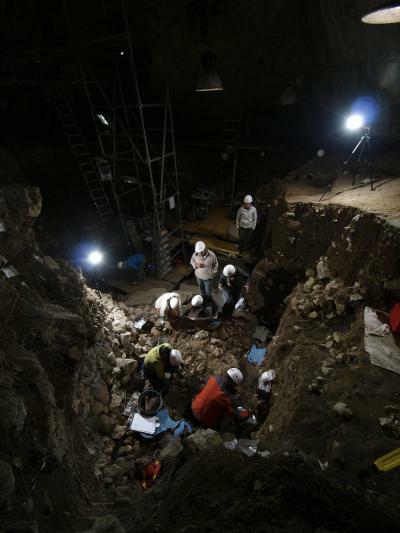 Ancient DNA from early Iberian farmers shows that the wideheld evolutionary hypothesis of calcium absorption was not the only reason Europeans evolved milk tolerance. Most of us grew up drinking milk. We were told it was the ultimate health drink. It is packed full of nutrients like calcium and other minerals, vitamins, including vitamin D, protein, fat and sugar in the form of lactose. In the West we take milk drinking for granted because most people of European decent are able to produce the enzyme lactase in adulthood and so digest the milk sugar lactose. However, this is not the norm in much of the world, and was not the norm for our Stone Age ancestors. In fact, genetic data has shown that the ability of adults to produce the enzyme lactase has only evolved within the last ten thousand years under strong natural selection. Without this enzyme, consuming milk can lead to some unpleasant side effects like bloating, cramps, flatulence and diarrhea -- a condition known as lactose intolerance. Why this trait -- known as lactase persistence -- has evolved so quickly has been something of a mystery. Archaeologists and anthropologists have shown that lactase persistence evolved in pastoralist populations, and it is easy to see why; there's not a lot of point being able to digest lactose if you're not consuming milk. But why was it such an advantage for our ancestors? This week in the journal Molecular Biology and Evolution, Oddný Sverrisdóttir of the Evolutionary Biology Centre at Uppsala University, and colleagues, have taken us a little closer to answering this question. For a long time scientists and clinicians thought the main advantage in Europe was to enable early farmers to avoid the consequences of calcium deficiency; milk is an amazing source of calcium and there is a bit of vitamin D in there too (vitamin D is necessary for calcium absorption). What's more those early European farmers, especially in the low sunlight regions of the North, would have had trouble making sufficient vitamin D in the skin throughout most of the year, and it's widely thought there was not a lot of vitamin D in their mainly cereal-based diet. "For them, milk could have been the new superfood," says Sverrisdóttir. But what about our cousins in sunny Spain? They have plenty enough sunlight for most of the year to make vitamin D, and yet still many are lactase persistent. Sverrisdóttir and colleagues obtained DNA from the bones of early Spanish farmers and they couldn't find the mutation that causes lactase persistence in Europeans (LCT -13910*T). Getting DNA out of ancient bones can be difficult because DNA breaks down over time and old samples are very easily contaminated with the DNA from living people (archaeologists, lab researchers etc.). However, the samples used in this study have been proven to be of very good quality. "We have worked with this material for several studies now and the DNA preservation in these samples is excellent" says Anders Götherström of Stockholm University, a co-author on the study. To see how much natural selection was needed to drive lactase persistence up to today's frequencies in that Iberia, Sverrisdóttir contacted her colleague Professor Mark Thomas in London. Using computer simulations they found that the answer was, "a lot"! "But here's the thing," says Sverrisdóttir, "if natural selection is driving lactase persistence evolution in a place where people have no problems making vitamin D in their skin, then clearly the vitamin D and calcium explanation (known as the calcium assimilation hypothesis) isn't cutting it. So while the calcium assimilation hypothesis may have some relevance in Northern Europe it's clearly not the whole story." "The evolution of lactase persistence is one of the best known and most dramatic examples of recent human evolution One of the ironies of working in this area is that we know it happened but we still don't fully know why" says Sverrisdóttir. Although most early European farmers would not have been lactase persistent, they would still have been able to consume fermented milk products such as yoghurt and cheese, because fermentation converts much of the lactose into fats. But in famine conditions, such as when crops fail, they are likely to have eaten all the fermented milk foods, leaving only the more high-lactose products. This would have caused the usual lactose intolerance symptoms such as diarrhea. Diarrhea in in healthy people is not usually life-threatening, but in severely malnourished individuals it certainly can be. So famine could have led to episodes of very strong natural selection favoring lactase persistence.